Irish Swarovski Crystal Wrap Rosary Bracelet with Shamrock & Celtic Cross. Irish Swarovski Crystal Wrap Rosary Bracelet with Claddagh & Celtic Cross. 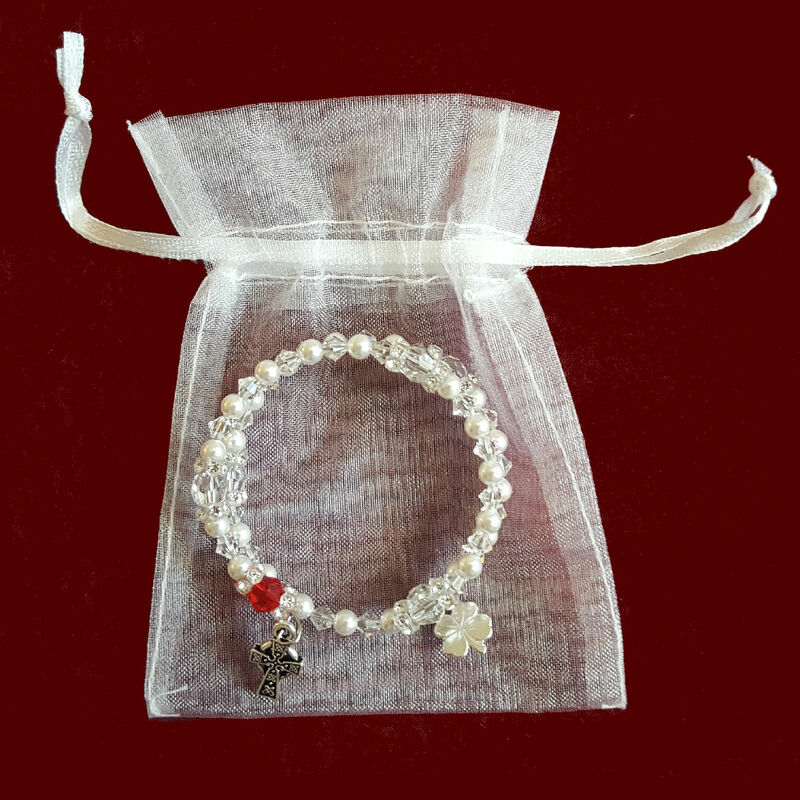 Crystal Rosary Bracelet With Irish Claddagh. 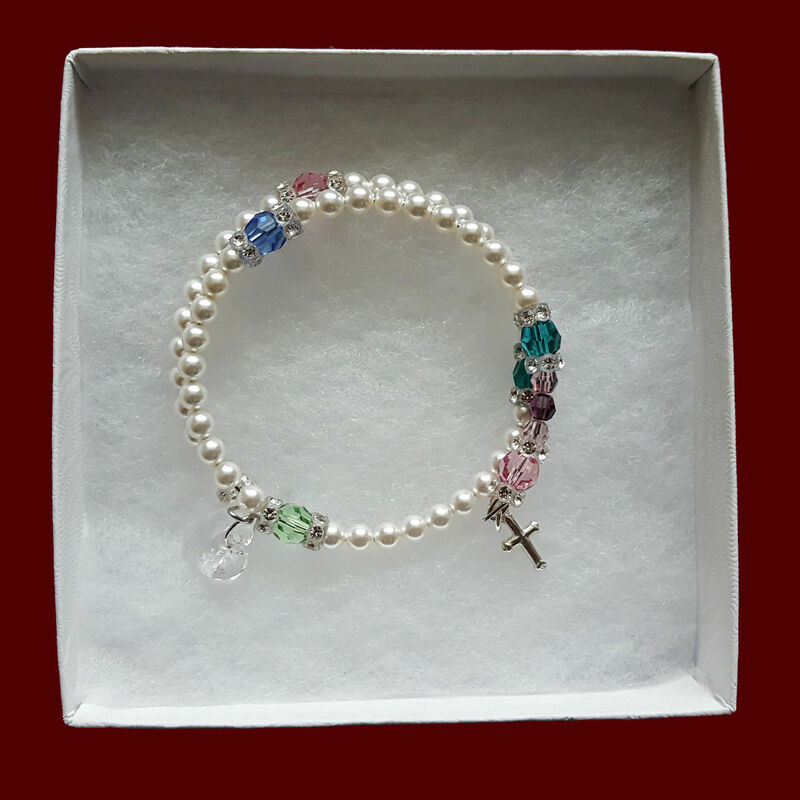 Crystal Rosary Bracelet With Shamrock Charm. 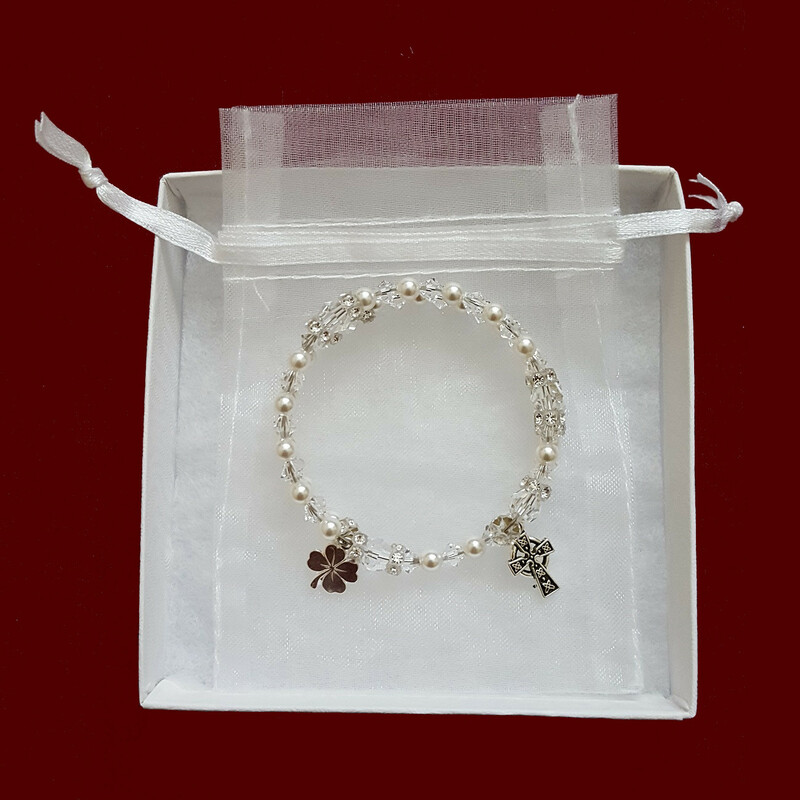 Pearl Rosary Bracelet With Shamrock. 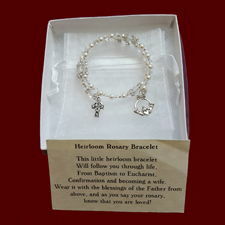 Birthstone Rosary Bracelet With Celtic Cross & Shamrock or Claddagh Charm. 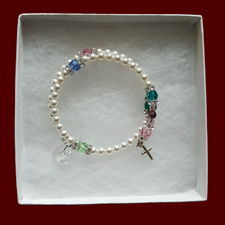 Swarovski Crystal Wrap Rosary Bracelet with Birthstone. 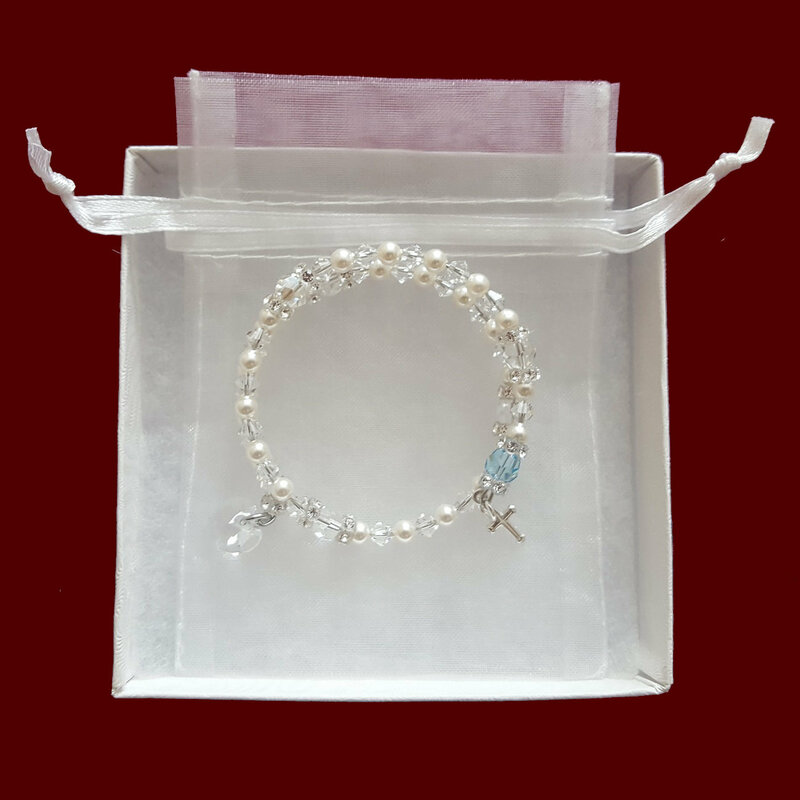 Family Birthstone Swarovski Crystal & Pearl Wrap Rosary Bracelet. 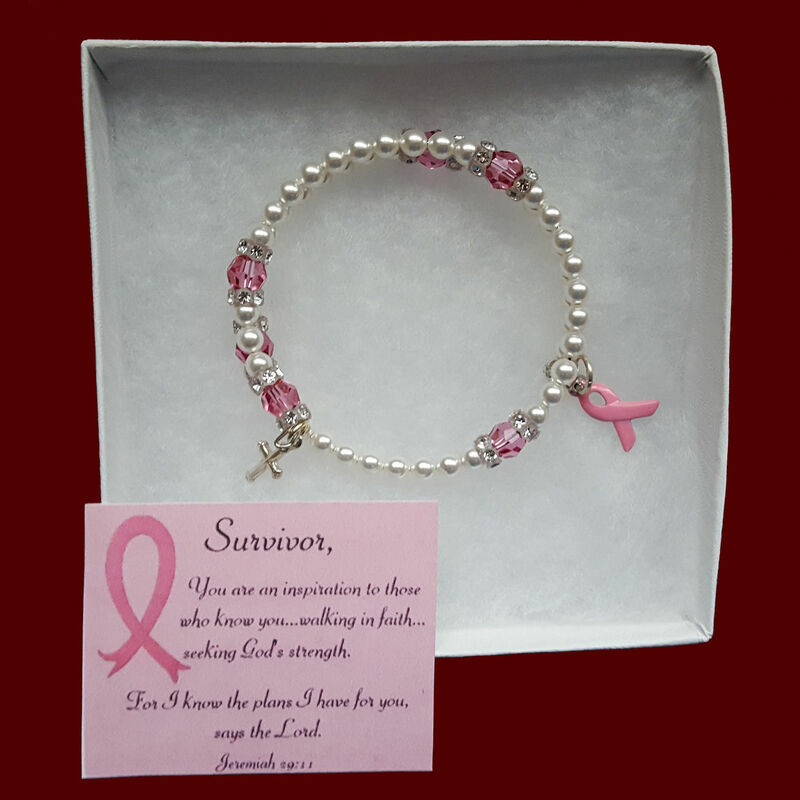 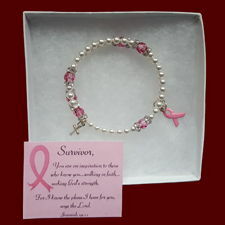 Pray for a Cure ~ Breast Cancer Rosary Wrap Bracelet With Poem. 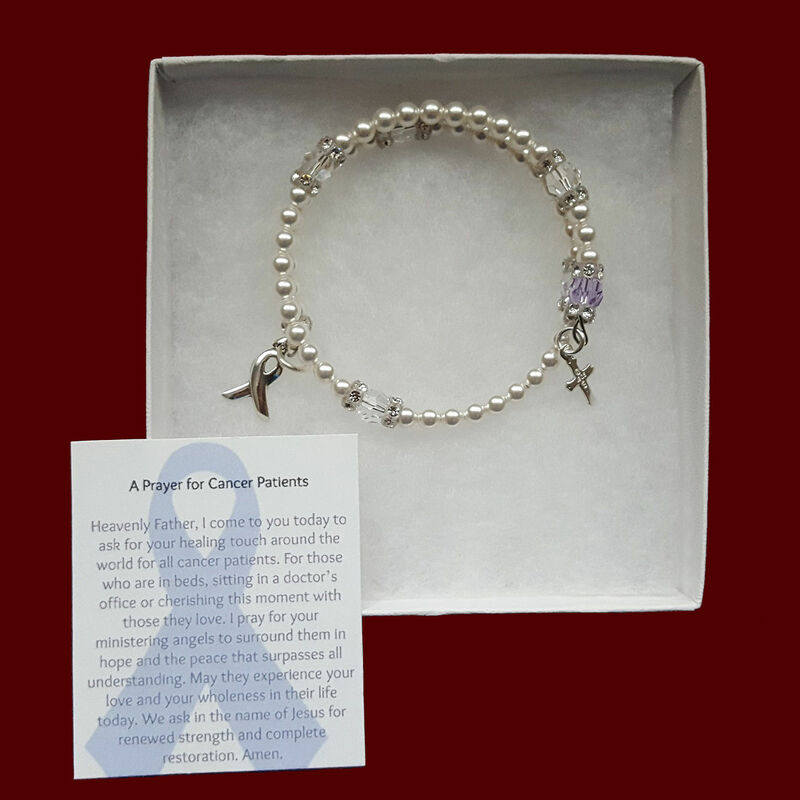 Pray for a Cure for ALL cancers ~ Lavender Rosary Bracelet. 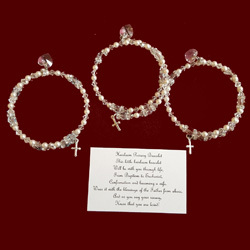 Full Swarovski Crystal Wrap Rosary Bracelet. 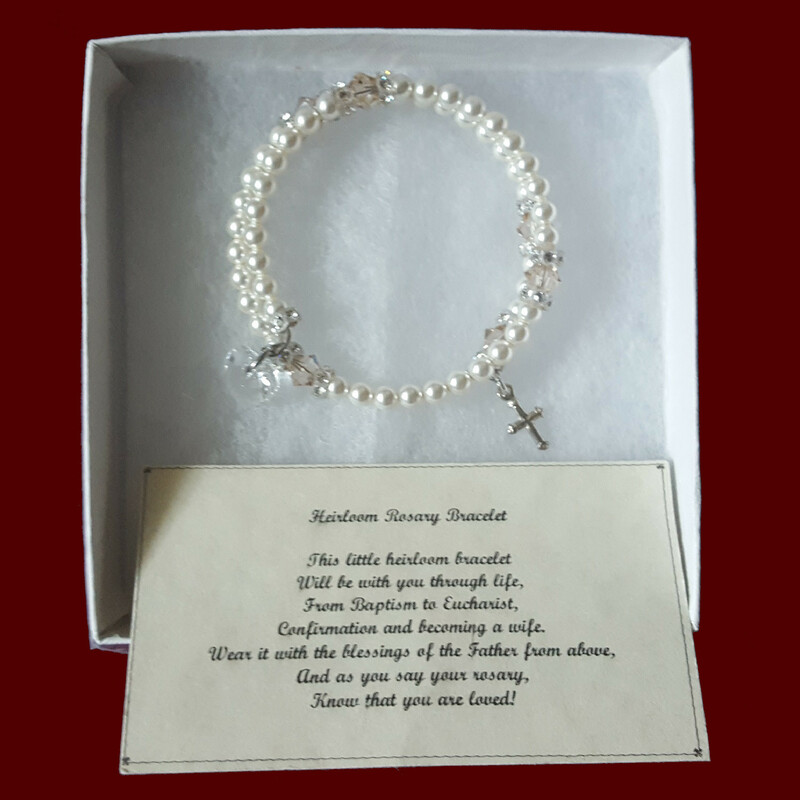 Ivory Swarovski Crystal & Pearl Wrap Rosary Bracelet With Optional Irish Charms. Shamrock Venice Lace Girls Magic Hanky Bonnet With Optional Monogram. Irish Magic Hanky With Embroidered Shamrock Heart. 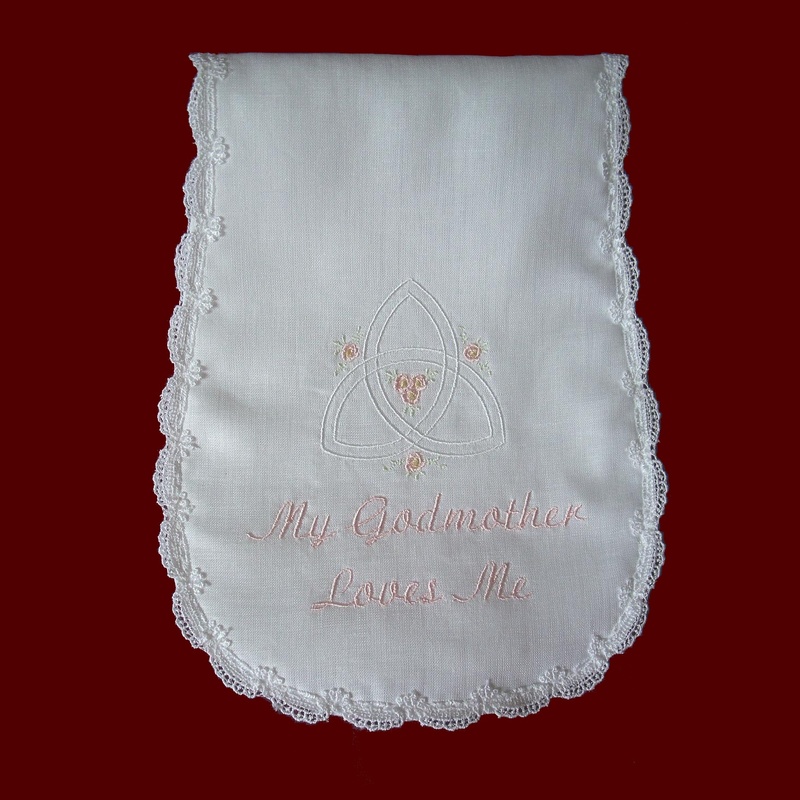 Irish Magic Hanky With Embroidered Claddagh & Heart Lace. 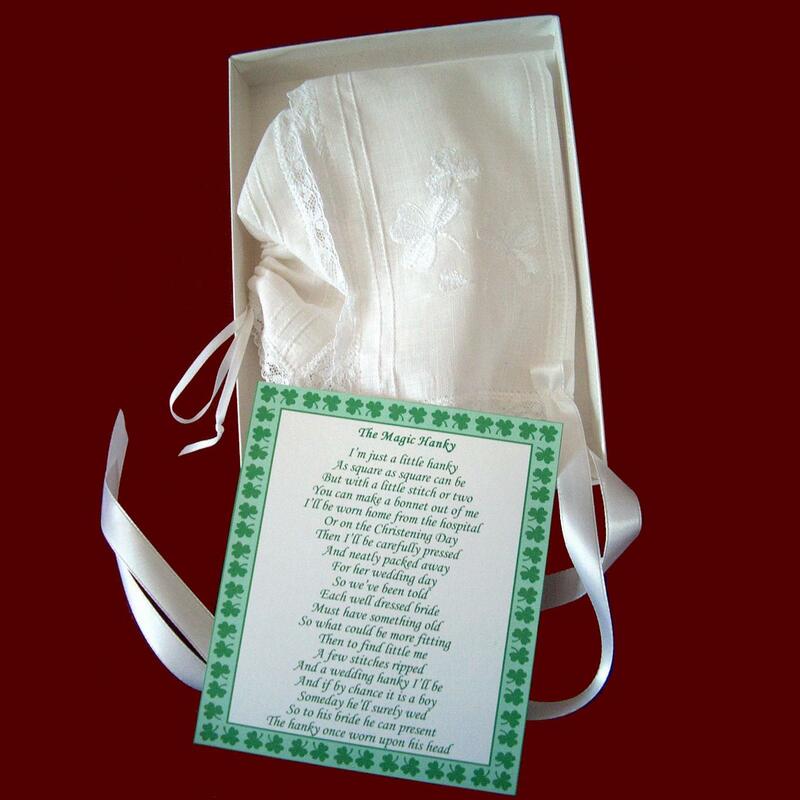 Irish Magic Hanky With Embroidered Swirled Shamrock & Shamrock Venice Lace. 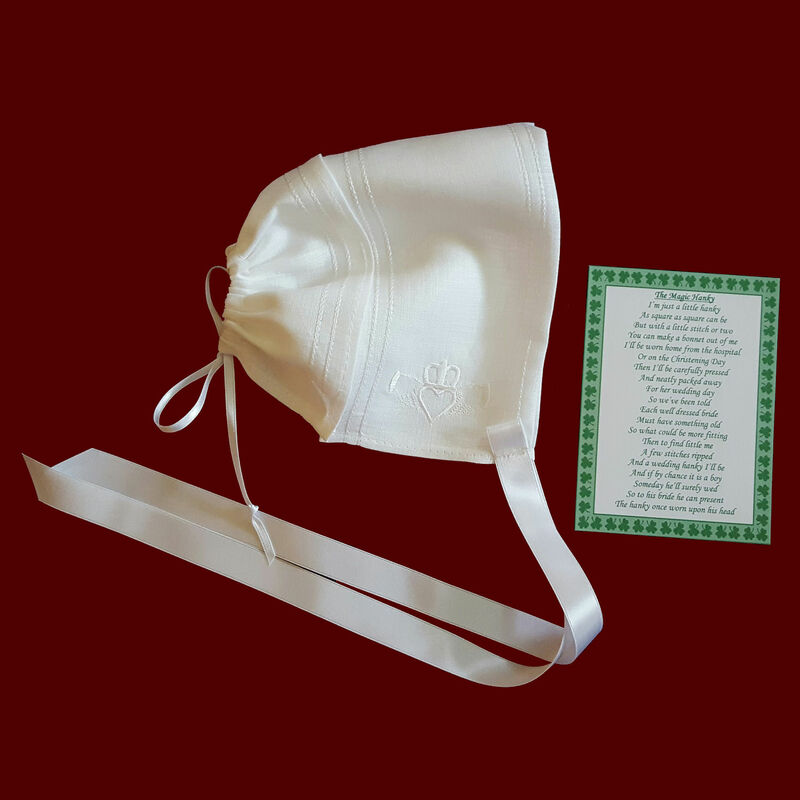 Irish Magic Hanky With Embroidered Celtic Cross. 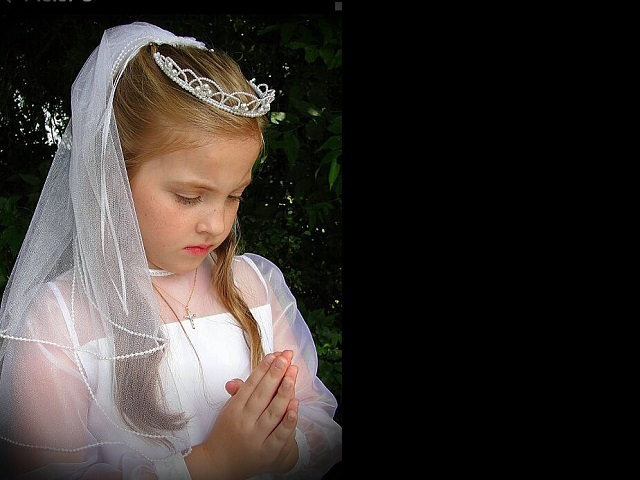 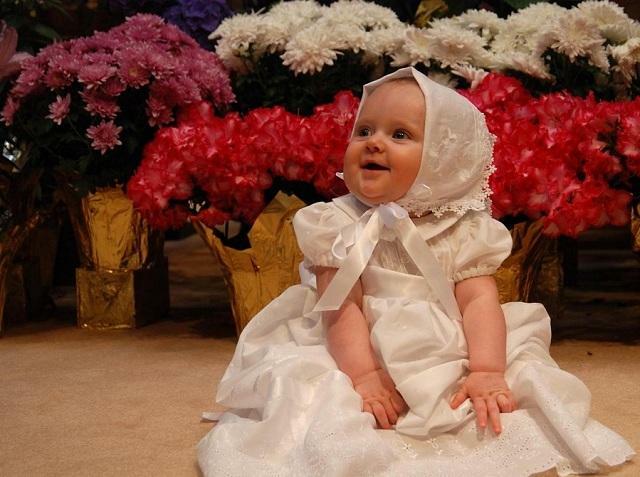 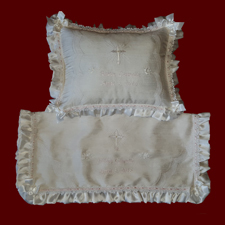 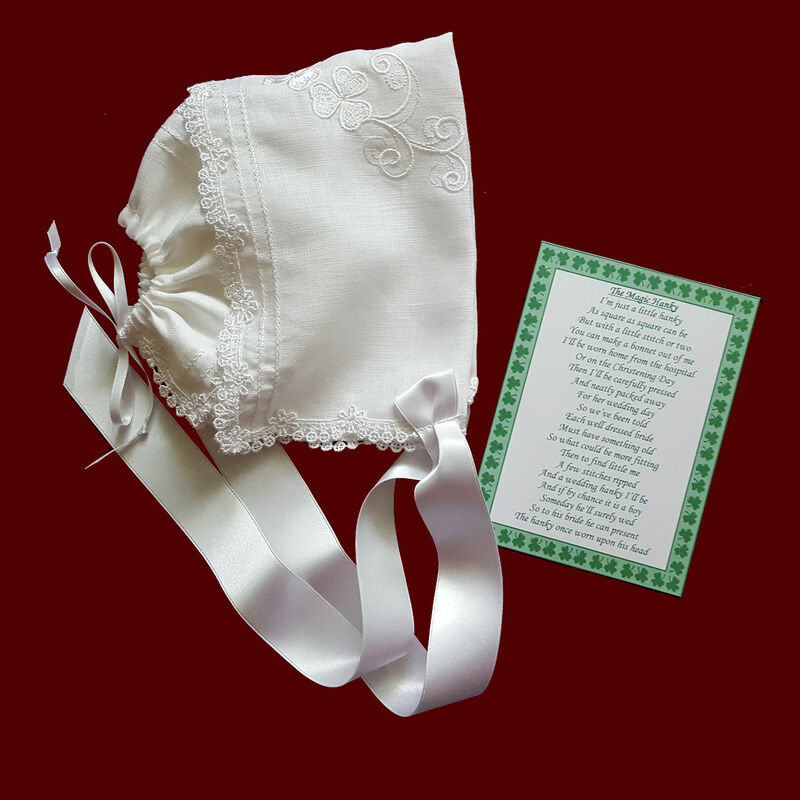 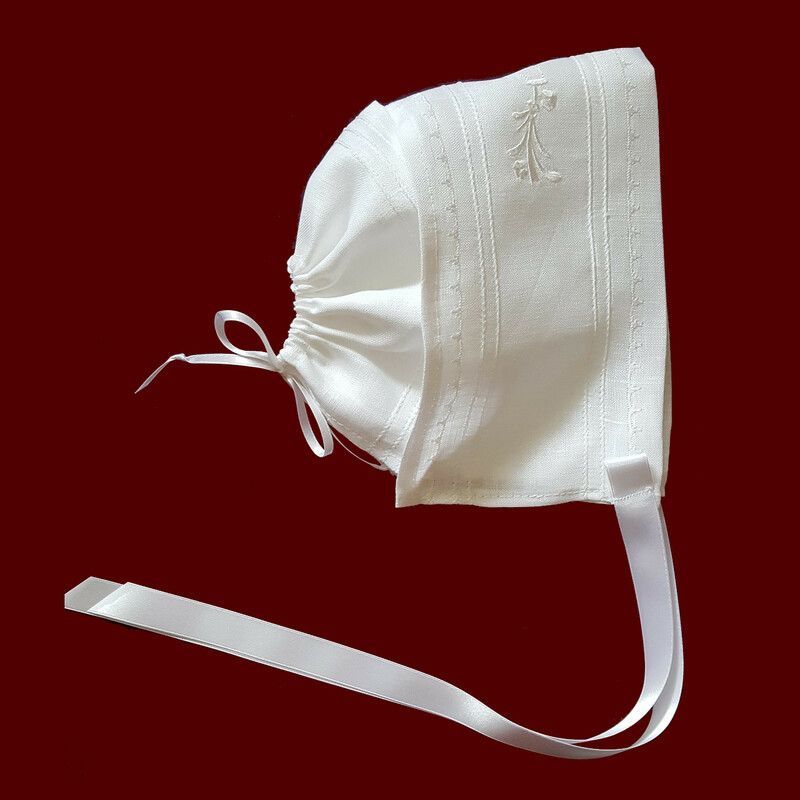 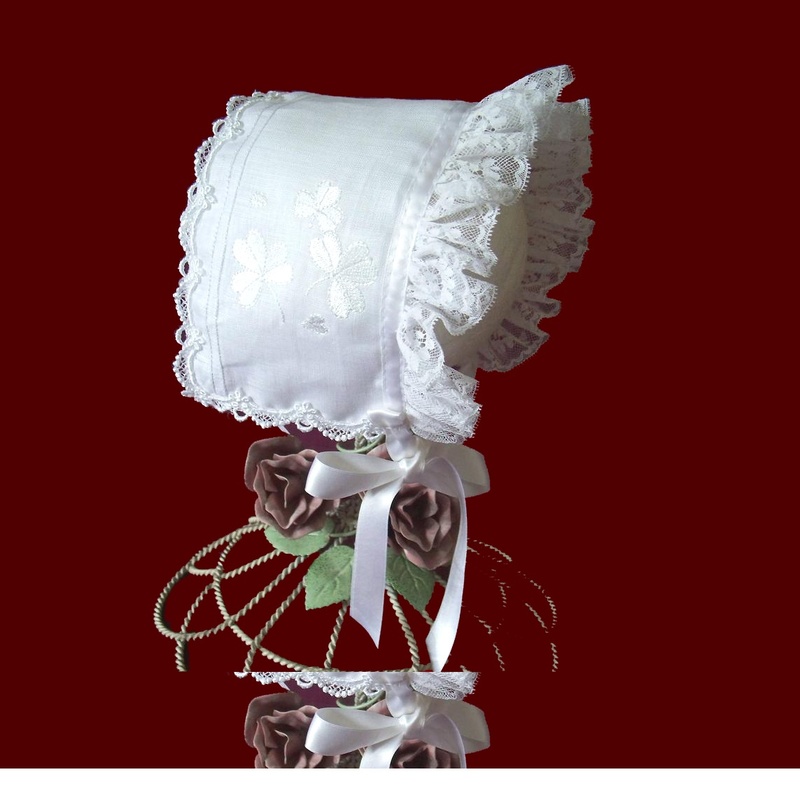 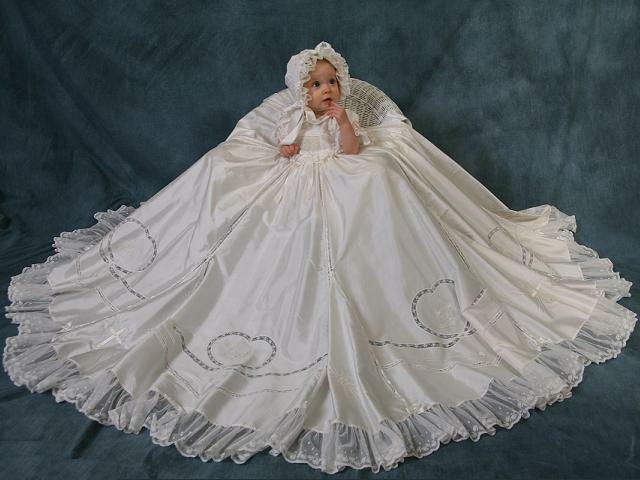 Irish Christening Magic Hanky Bonnet. 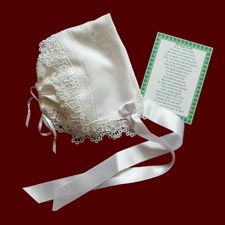 Magic Hanky With Ruffled Lace & Shamrocks. Irish Linen Magic Hanky Bonnet With Embroidered Claddagh. 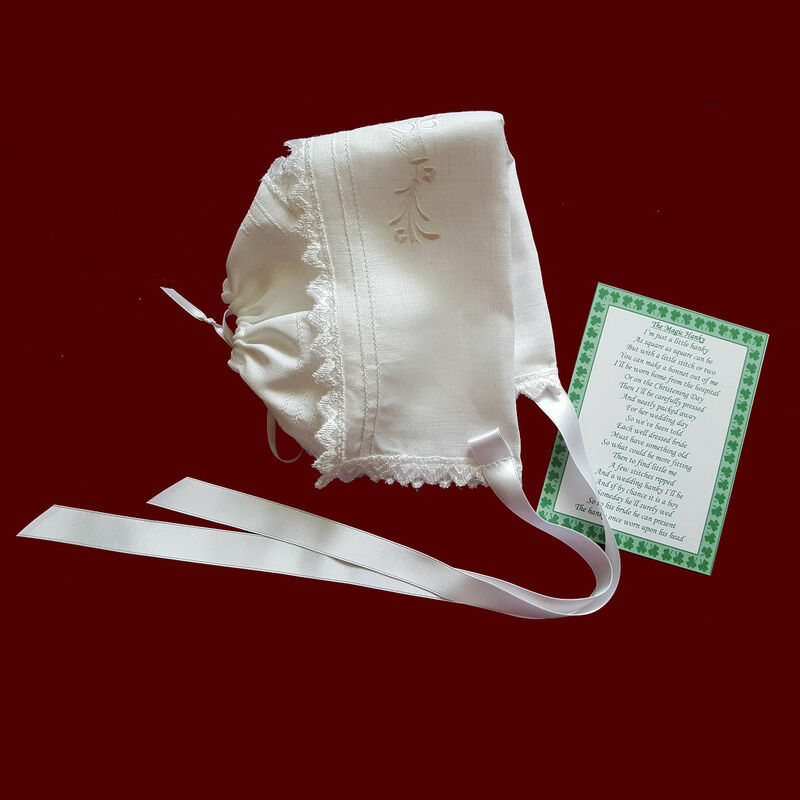 Embroidered Claddagh Magic Hanky Bonnet. 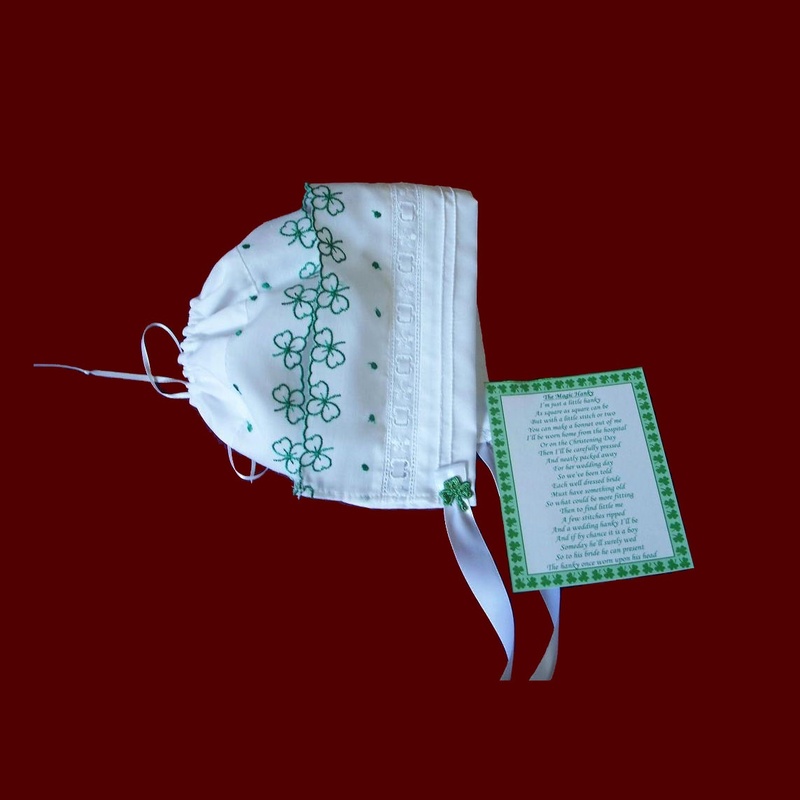 Embroidered Shamrocks Magic Hanky Bonnet. Irish Magic Hanky With Shamrock Lace. 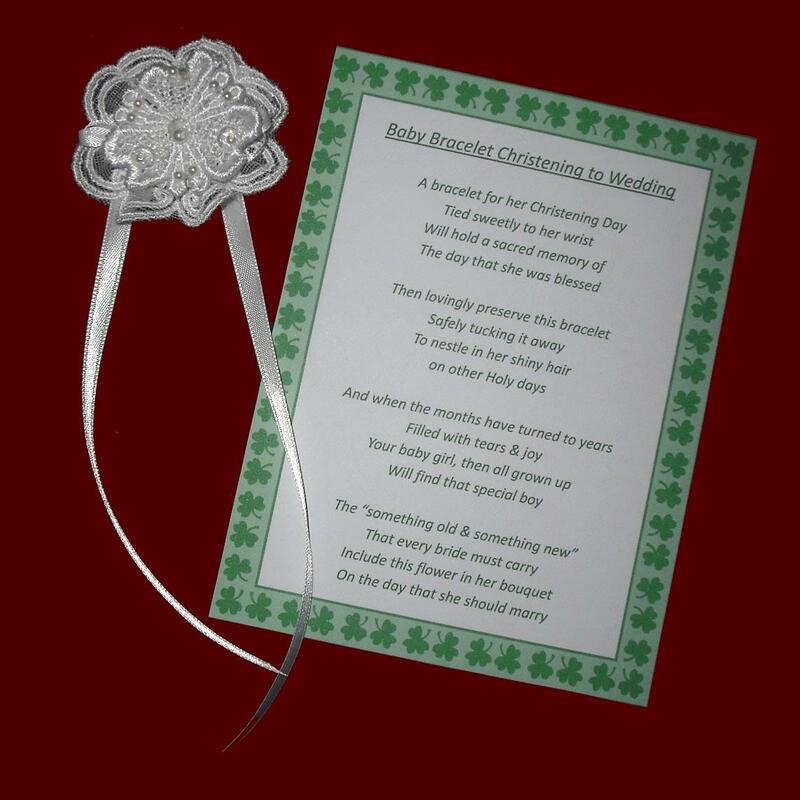 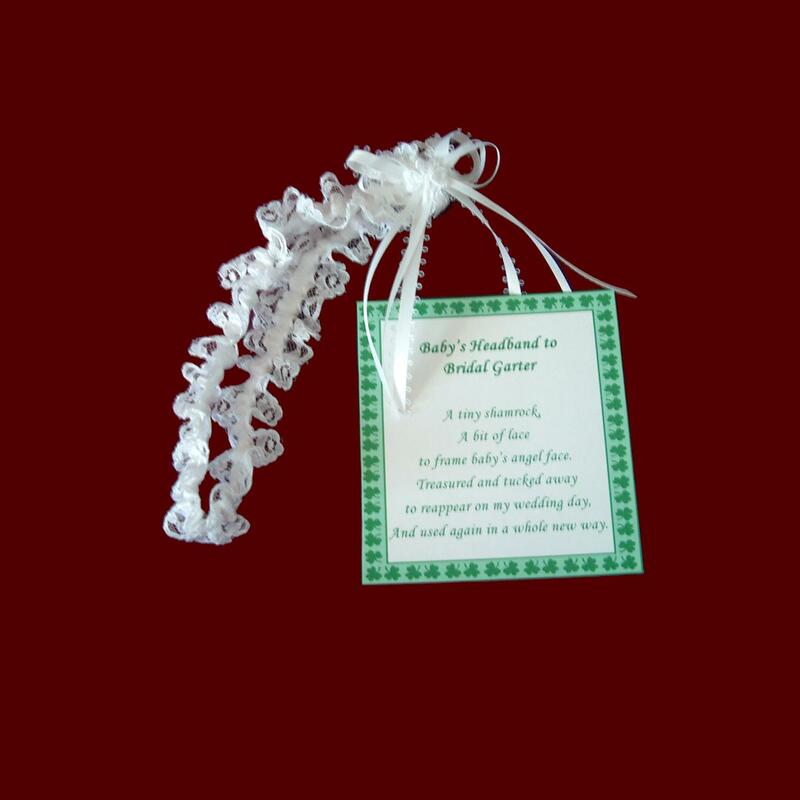 Baby Headband to Wedding Garter With Shamrock. 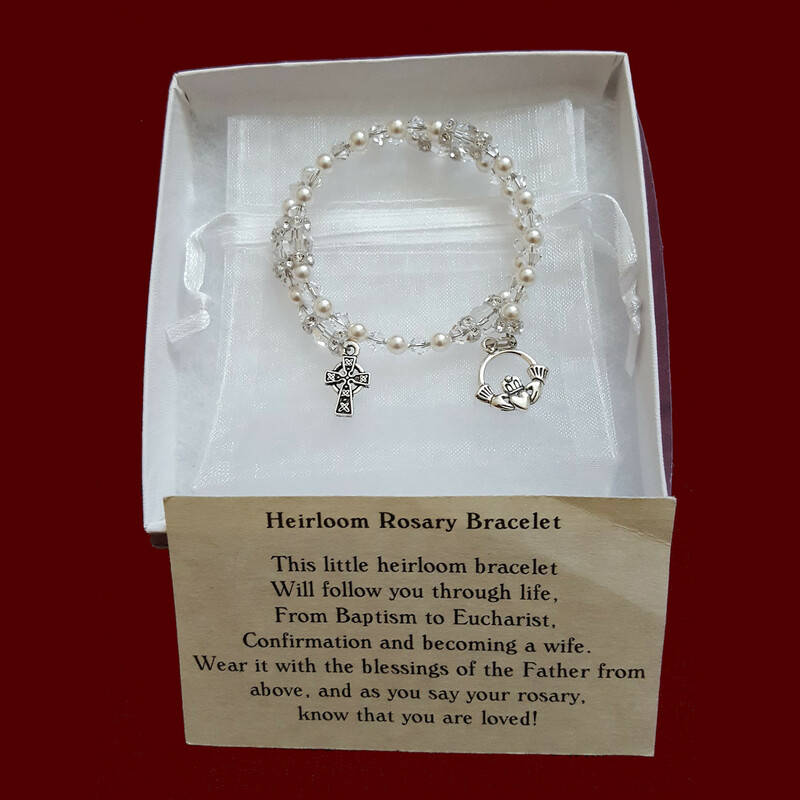 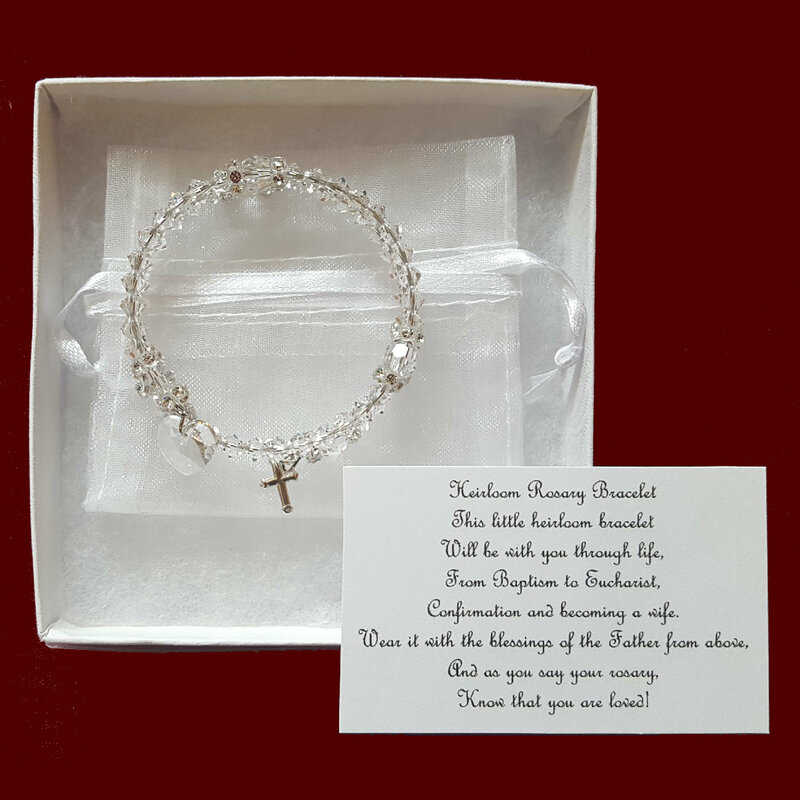 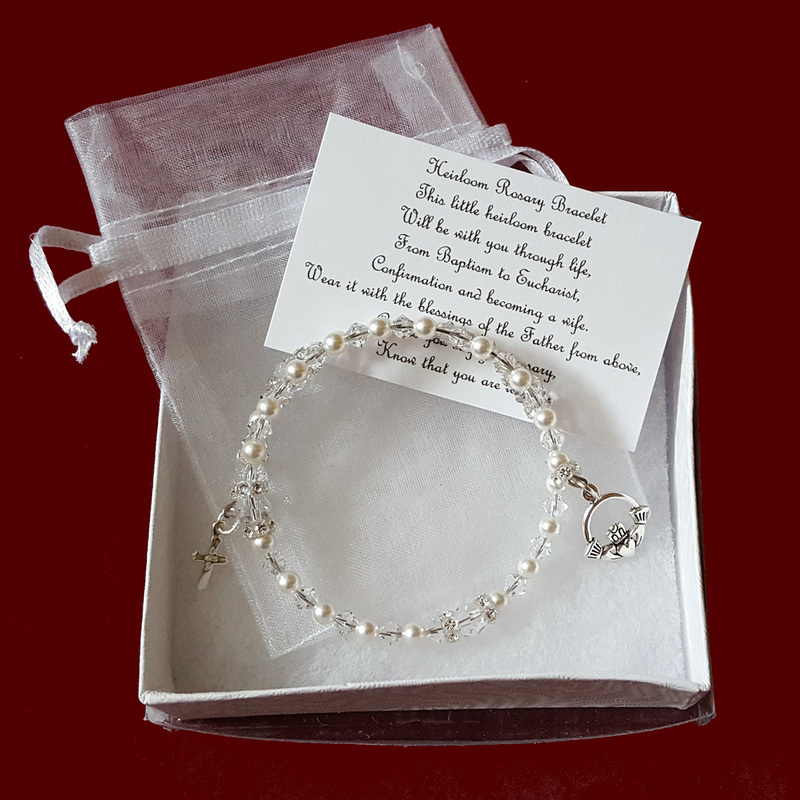 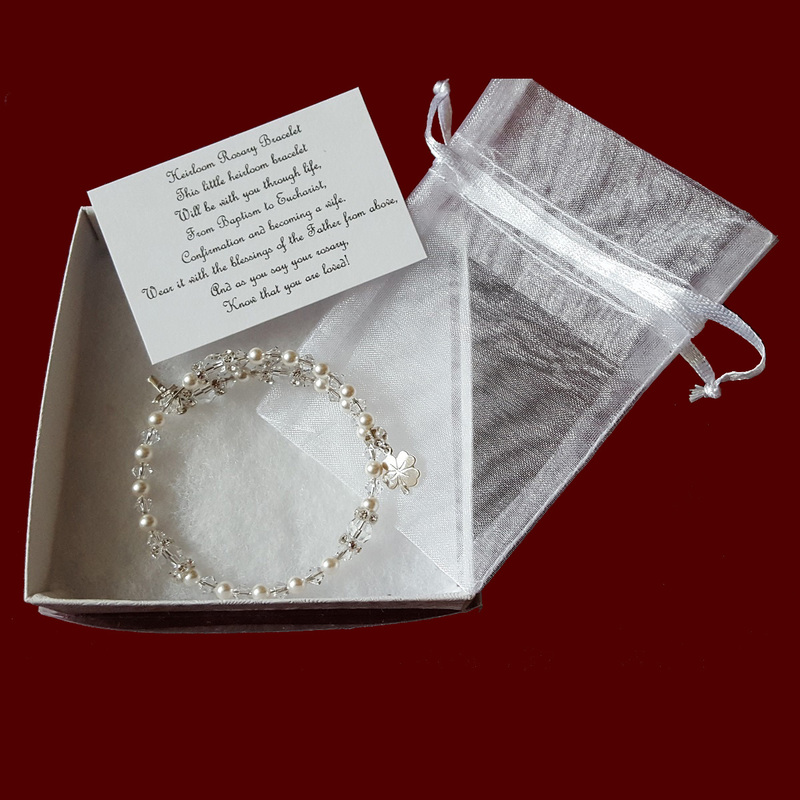 Irish Christening Bracelet to Wedding Keepsake. 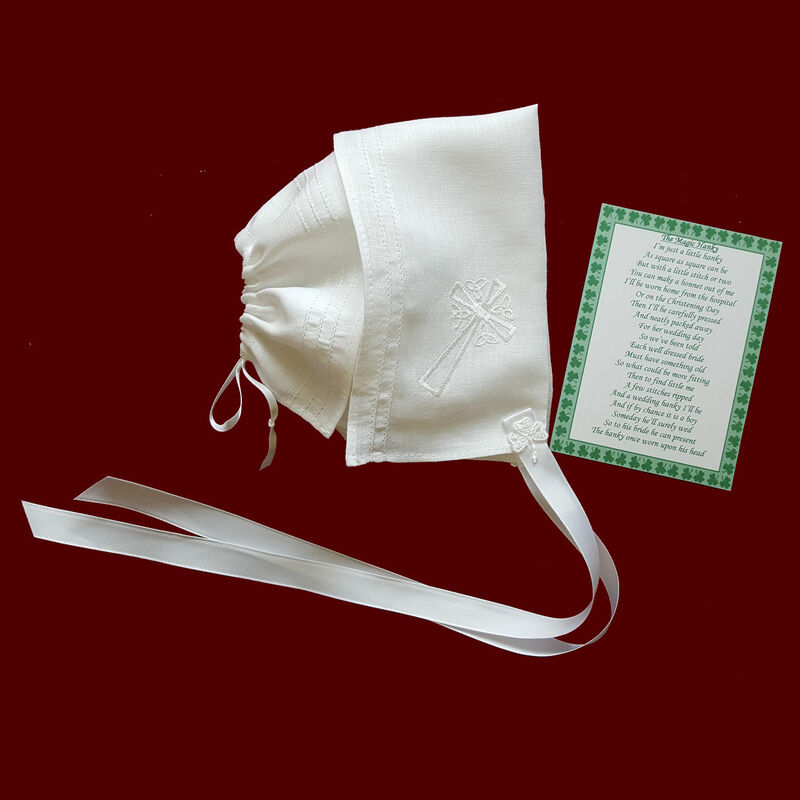 Embroidered Cross & Trinity Christening Cap With Shamrock. 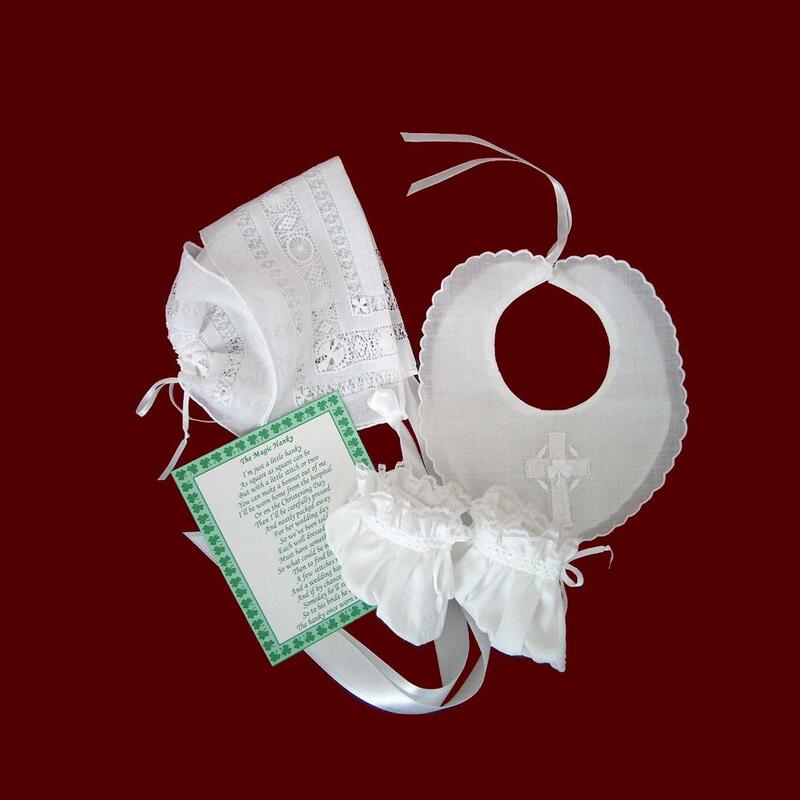 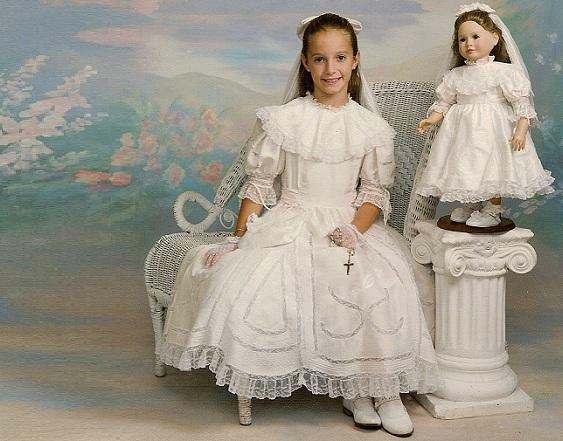 Irish Girl Christening Gift Set. 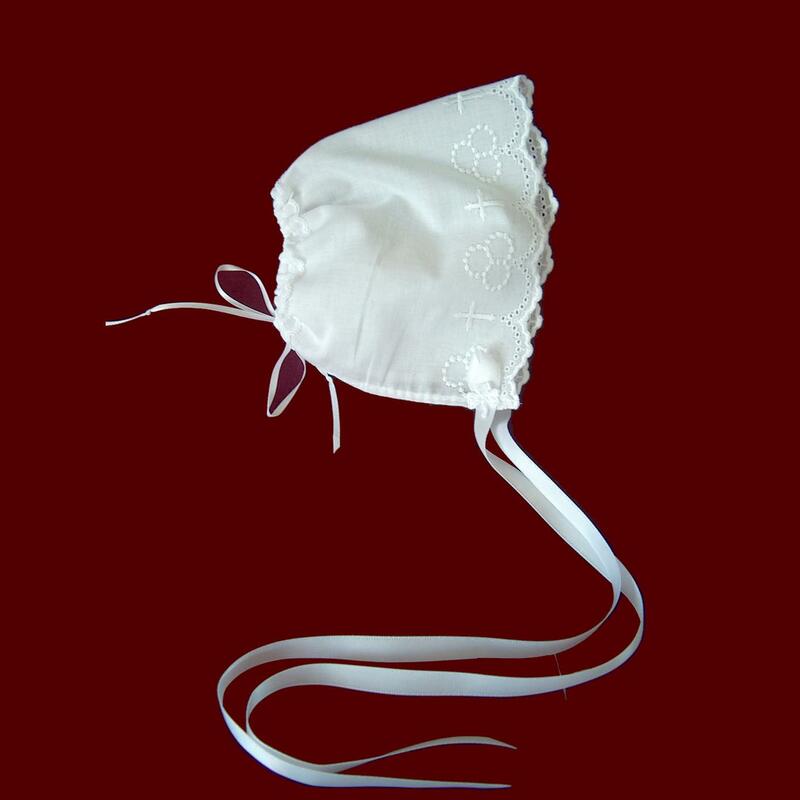 Trinity Roses Christening Burp Pad. 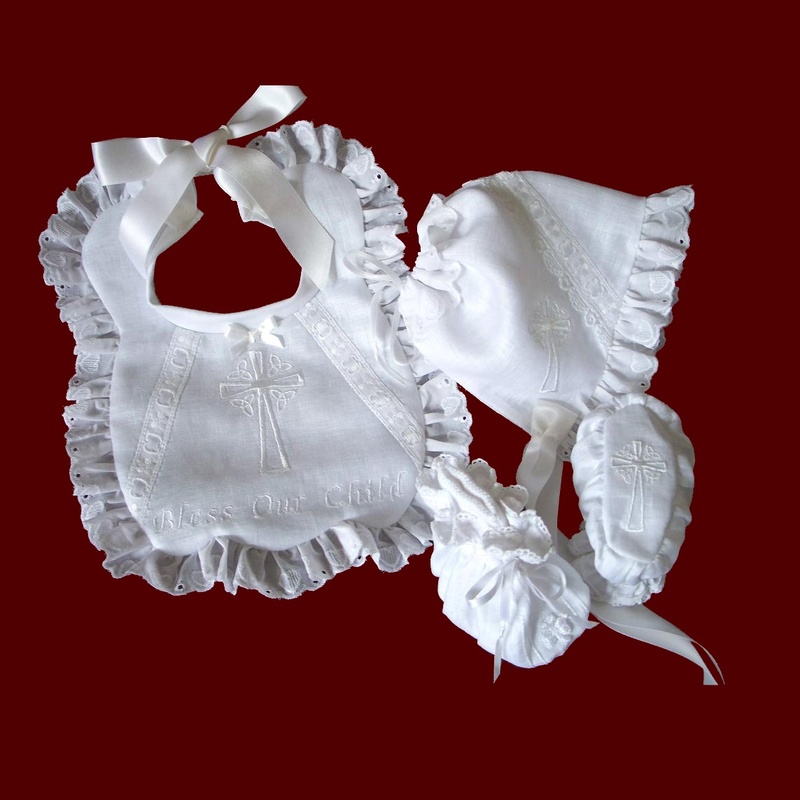 Trinity Roses Girls Christening Gift Set. 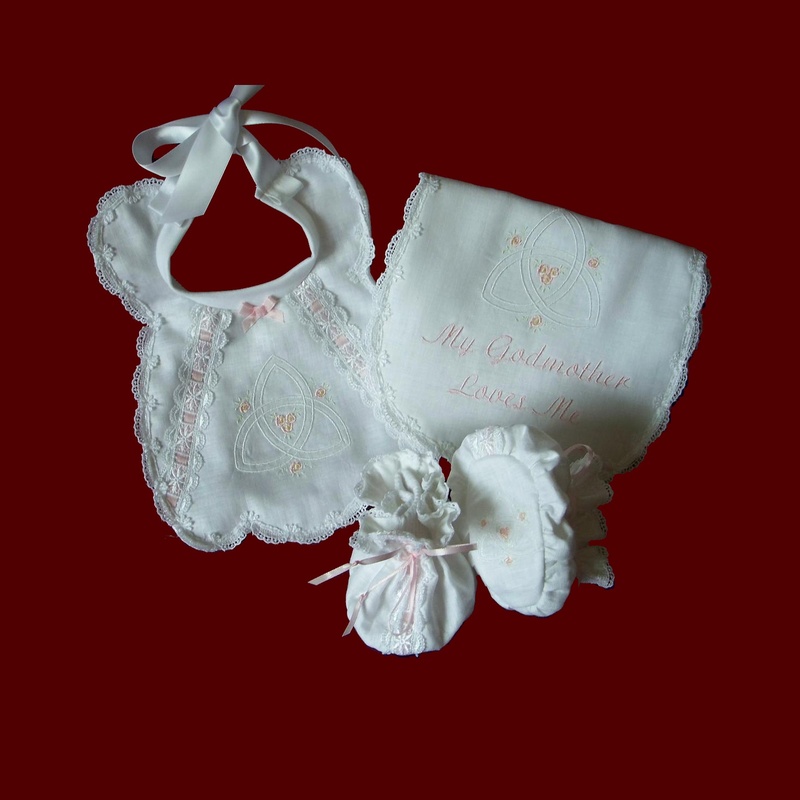 Embroidered Heart Baby Girl Bib & Bonnet Gift Set. 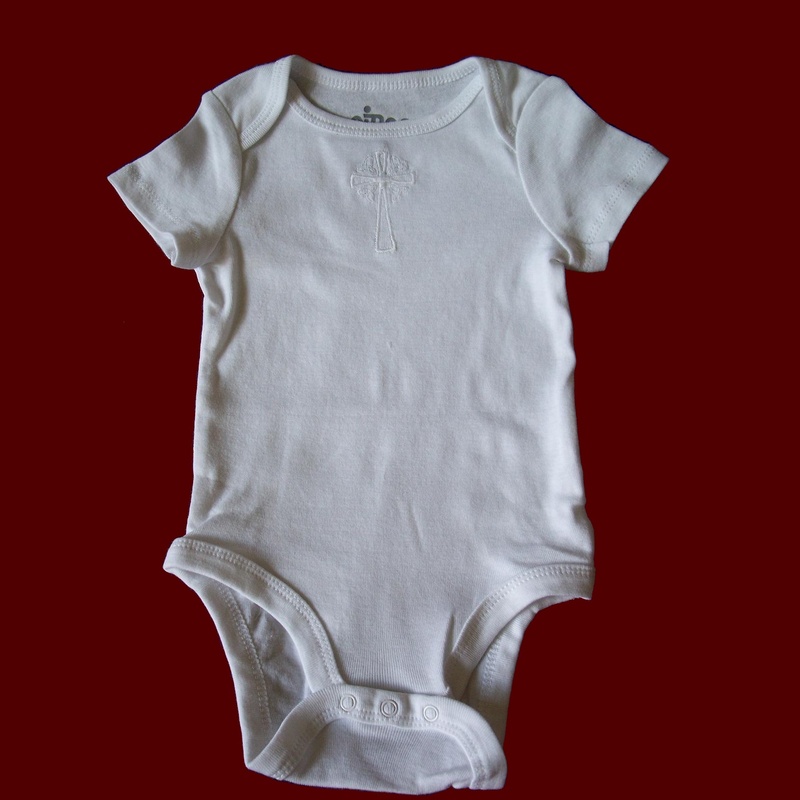 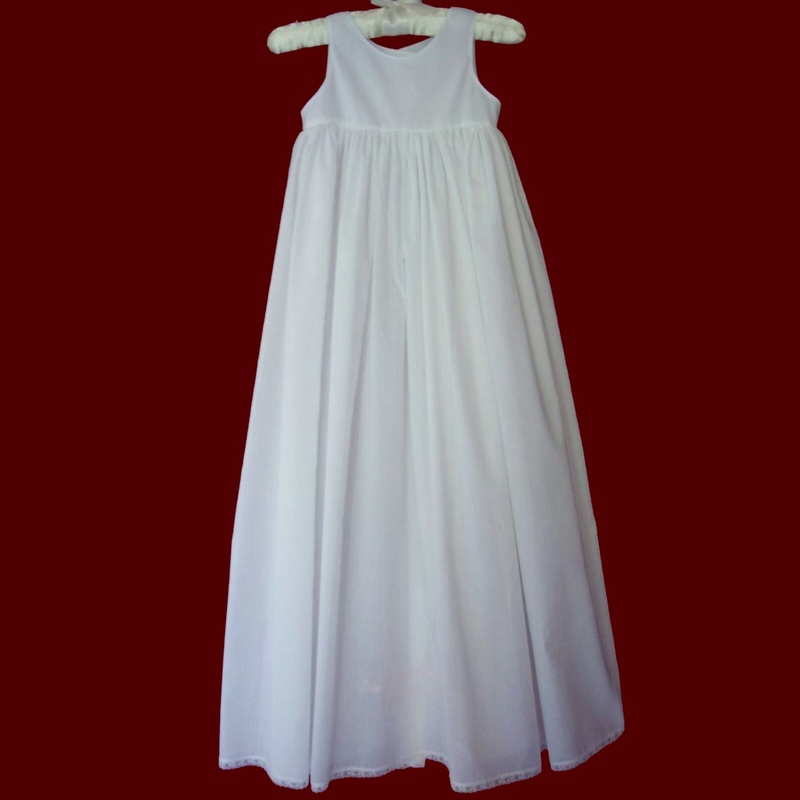 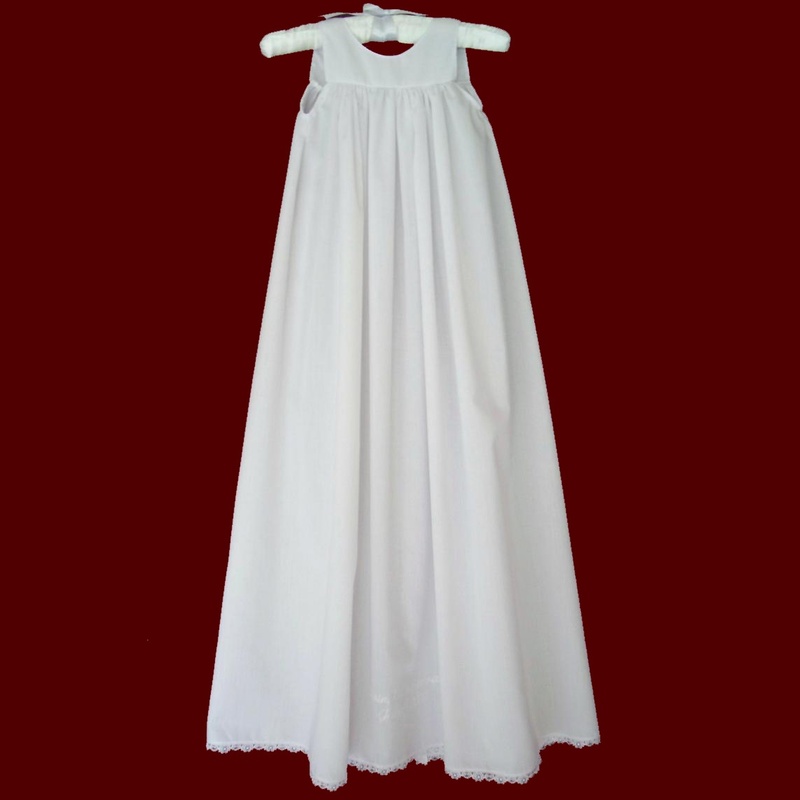 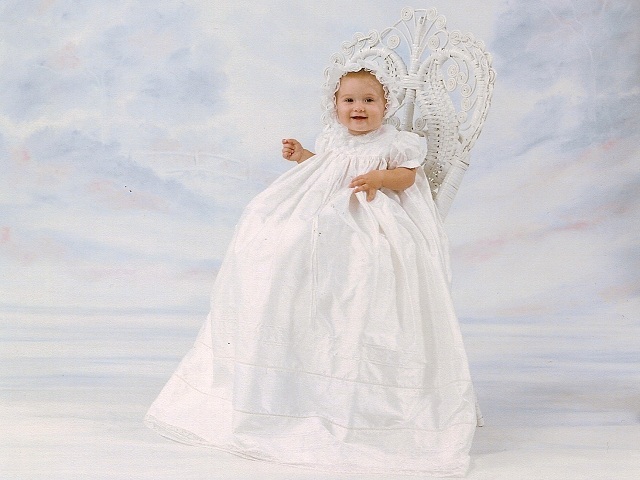 Baby Christening Jacket With Optional Bonnet. 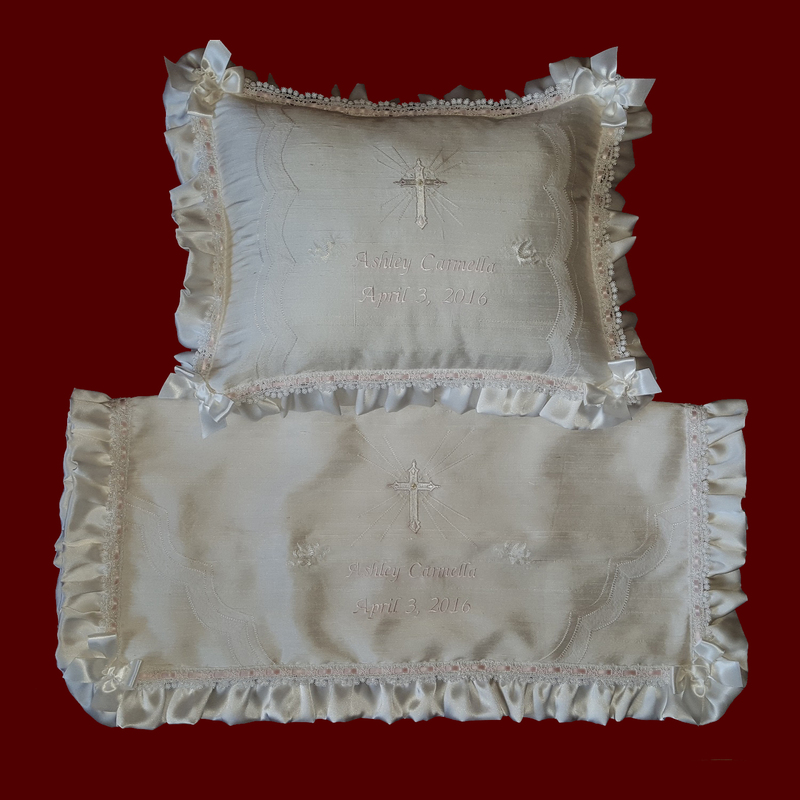 Personalized Christening Blanket & Pillow Set.